A powerful, insightful exploration of grief, healing, and hope — now available in convenient E-book format! Important Note: Readers of Feeling Joy Again are encouraged to keep a journal about their healing process. Journal lines are included in physical copies of the book, but we recommend keeping a notebook handy when reading the E-book. 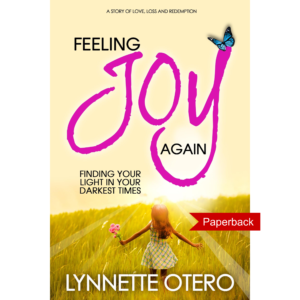 Feeling Joy Again is the raw and powerful story of how Lynnette survived the heartbreak of her husband’s tragic illness and death, pulled herself out of the pit of despair with the help of loved ones and a belief in God, and ultimately came to believe that her life was worth living. 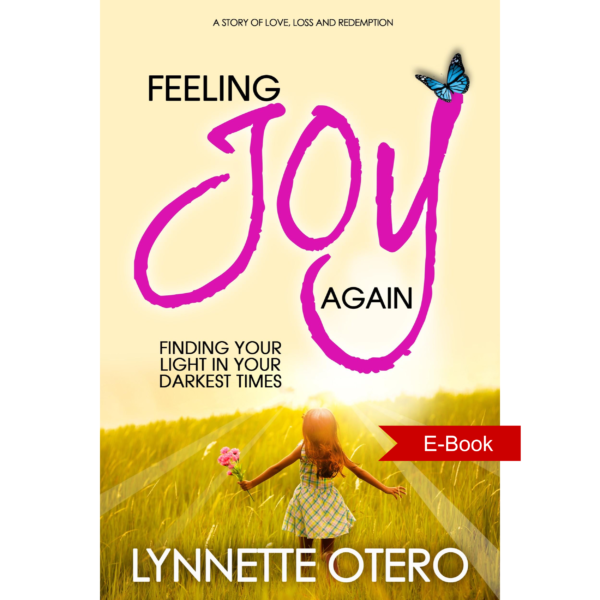 Now she shares her story to give hope to others seeking to end their mental nightmares and transform their lives into wellsprings of joy. There is hope. You really can come to a place where you are Feeling Joy Again. That journey can begin today.